At A Good Spa Day, we enjoy relaxing, beautifying, and healing every part of the body, including your ears! The soothing procedure of ear candling is designed to do just that: painlessly extract excess earwax in a relaxing spa environment. Ear candling is a non-invasive procedure that generally takes about 30 to 45 minutes. You’ll be instructed to lay on your side, and your practitioner will gently insert the tapered end of the candle into your ear canal. The spa professional will carefully light the candle and allow it to burn. The only responsibility you have is laying back and enjoying the calming, crackling sound of the candle for the next 10 to 15 minutes. After the candle has melted to about 4 inches in height, your esthetician will extinguish it, and then you’ll flip sides and begin the process again. The New York Times released a letter of recommendation for ear candling, touting its meditative benefits. 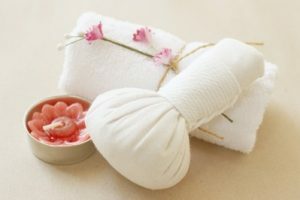 If you are interested in trying a new, homeopathic remedy to relieve stress, we invite you to try the ear candling services at A Good Spa Day. It may help in reducing build-up in your ear, and it will certainly be relaxing! To schedule your ear candling or any of our beauty spa packages or services, speak to the premier estheticians at (435) 654-2799.